Being a bachelor, I can’t claim to know much about marriage. However, I have always felt that working in the huts gives crews good practice at married life. They learn to live with other people and share living space. They go to bed at the same early hour as married people, and they stumble around the kitchen together early in the morning. The crews that grow the closest are the ones that communicate with each other the best. Working in the huts also develops qualities prized in bachelors or bachelorettes: the skills to cook a great meal, the ability to fix things around the house, a nice figure, a sense of humor, and a sense of duty when it comes to cleaning toilets. I imagine Shamar Whyte noticed many of these things when he met Michelle Dodge. 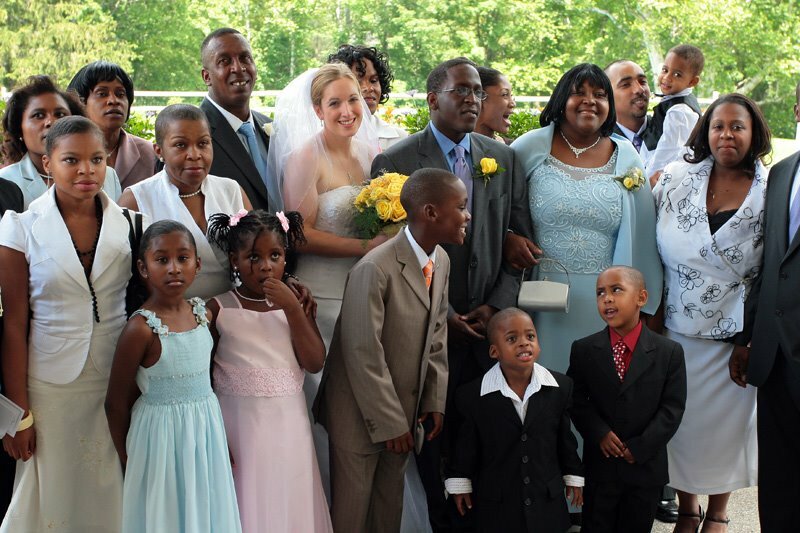 On July 1st Shamar and Michelle married in the Jackson Community Church. Shamar is from Jamaica, and when he applied to Hobart College he thought that it was in New York City. It is in New York, but in the distant western hinterlands. Michelle is from the northcountry, the great-granddaughter of Joe Dodge. She rarely mentions her connection to the man who built the hut system, and her own rise to Hutmaster has been throu gh hard work alone. While Michelle finishes college Shamar has been living in Jackson with her family and selling insurance. He drives all over rural New England through snowstorms and a landscape very different from Jamaica. In the wintertime among all the white snow and white people he may be the only Jamaican north of Boston. I first met Shamar last summer after he had hiked up to Greenleaf to visit Michelle. Without exaggerating I can say that he had black fly bites as big as golf balls on hi s arms. He is a devoted man. As a bachelor I generally don’t get very emotional at weddings. However, Michelle and Shamar had a very moving ceremony. Michelle’s sister Dominique spent 4 years at a Scottish conservatory studying the harp. She played a song she had written for her sister, and I finally understood why the harp is a holier instrument than the saxophone. Shamar’s family members sang. I don’t think the church in Jackson had ever echoed with voices like these. You either have it, or you don’t, and the Whyte’s have it. Their pastor was Pojen Lee, a Jackson character who comes from Taiwan. 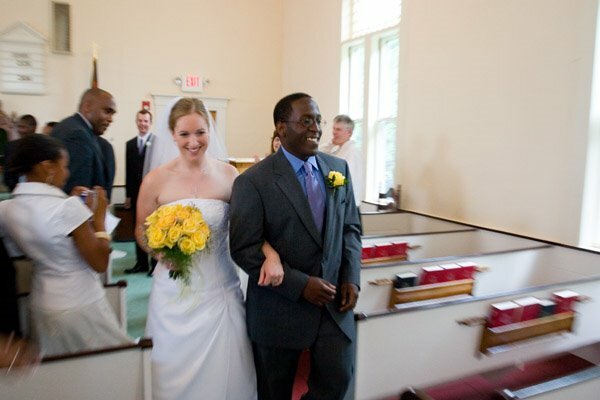 He encouraged them “NOT to become one, but to remain two INDEPENDENT people standing STRONG and upright together inside a circle of TRUST.” Shamar and Michelle are two of the kindest people you could ever meet. 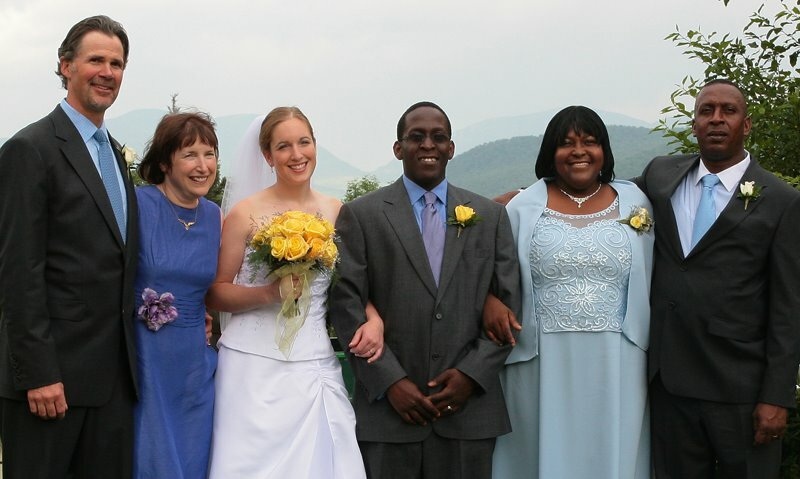 With Shamar’s good humor, determination and politeness, and all Michelle’s hut skills they are well-prepared for a long and happy marriage. I wish them all the best.